I figured that title would get some attention. Barry was harassing me lately (rightly so) that I never post anything racy on my blog. Well, I have to remind him that there was that set of Body for Life before and after shots. I mean, where else can Captain America reign free? However, not wanting to disappoint my public, here's something quite risqué. This is me, tossing the caber at the Forres Highland Games. As an added bonus, if you click on the picture, it will remove the "censored" label, so you can really see what's under a Scotsman's kilt. That might be funny if it weren't such an obvious photoshop. It took me like 10 minutes of searching, but I was able to find the original picture on the web here. I knew it was not you by the legs & that head shot that you always use. 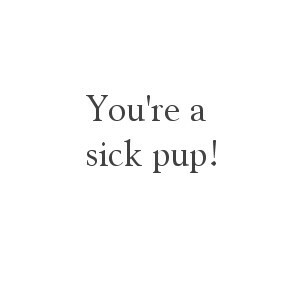 I am "a sick Puppy" though!